Major advances in health care have resulted in cutting-edge tools, unimaginable just a few short years ago, enhancing the diagnosis and treatment of many illnesses. The increased focus on measurable outcomes has progressively minimized the experiential aspects of the clinical journey. Other pressures on clinicians connecting with patients include the sheer volume of data to process as well as the increased use of electronic health records. 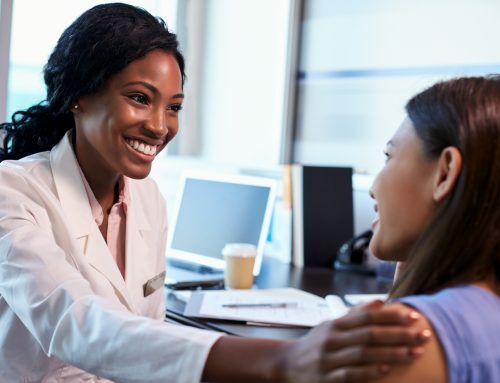 It is quite understandable that in the brief time allotted for a patient visit, the focus narrows and poorly defined issues such as stress levels and emotional concerns may not be communicated or appreciated. Consequently, patients may feel that they have become case numbers, lost in a complex and intimidating clinical system. During the course of any illness, patients experience a multitude of changes and losses. These include changes in established relationships, intimacy levels, stress levels, self-esteem and body image. As well, concurrently, there is episodic emotional turbulence, anxiety and depression. It is complicated to appreciate these changes in oneself, which makes the communication of them even more difficult. Very often patients and families are left to cope alone with these often disturbing experiences. Obviously there is a need to highlight the importance of focusing on these issues as well during the routine clinical encounter. By engaging the patient voice, we have a powerful tool to inspire and shape awareness and hopefully new solutions in managing this area of care. The PKD (Polycystic Kidney Disease) Toronto Scientific Conference of 2018, as part of its program, felt the importance of including a presentation on the patient experience. Although the traditional approach would have been a powerpoint presentation of the topic by a clinician, I believed in the importance of transmitting first hand the patient’s perspective. In this endeavour, I was fortunate that Janet Wright volunteered to undertake this task together. We met prior to the presentation and chose a conversational approach in highlighting major psychosocial experiences that are not “normally” appreciated in clinical settings. The aim of the interview was to provide a resonance for others who are living with PKD or any other chronic disease, highlighting the emotional, personal and interpersonal disturbances that may arise. The hope is that the patient perspective will be more fully integrated into health care decision-making at all levels, but more importantly, into daily care in the clinical setting.